Even if you are not a wine enthusiast I am sure that at least one of your friends-and-relations is. Therefore, before you buy another bottle of wine for a gift read it and reconsider. Thibaut Godard created beautiful porcelain set, which not only stores wine but is a decoration of a kitchen or dinning as well. 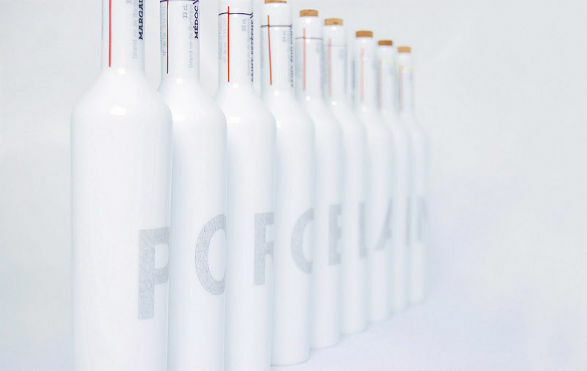 Porcelain is a range of 9 Bordeaux wines bottles of 33 cL made of porcelain. 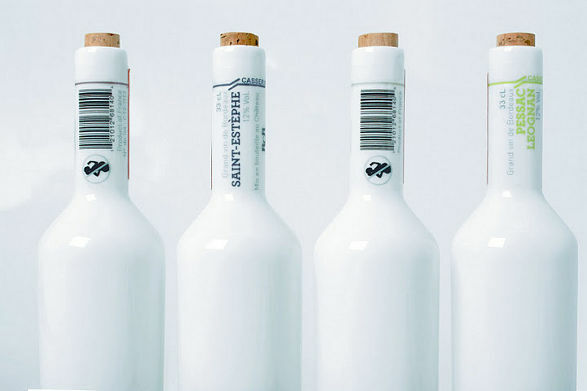 The packaging includes also 9 tasting phials of 6 cL, what allows the consumer to taste each wine in small quantities. 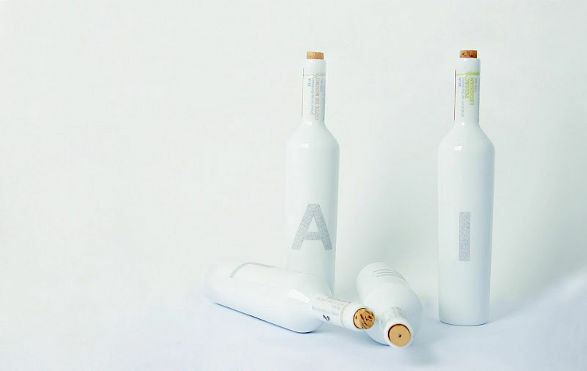 There is a letter from the word “porcelain” on each bottle and the same letters are repeated on the phials. Such marking makes the wine samples identification very easy. 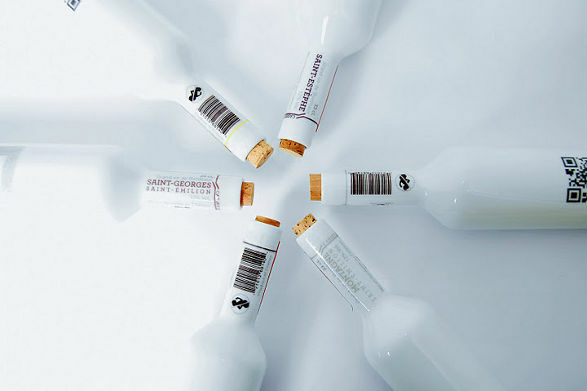 Moreover, the information about the value of wine in the bottle is communicated in an innovative way – not on the label, but with various visual codes printed on the plastic film on the neck. The biggest surprise is that we don’t remove the cork to reach the wine but we break the neck of the bottle to open it (great solution for those who break things when loose their temper). 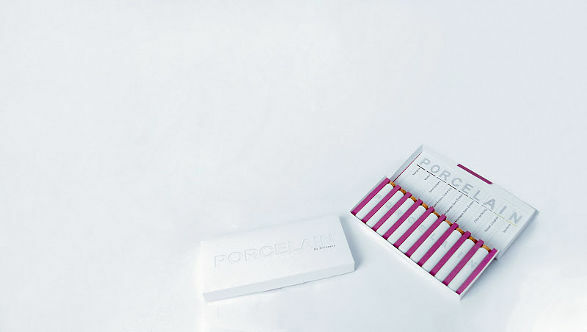 Porcelain has just been selected the winner of the forth edition of make me! contest organized by Lodz Art Center in order to discover talents with fresh look at design. It was picked up from amongst 280 applications from all over Europe, Asia and America. Fairly! Perfect Christmas gifts challenge and HAEN electric kettles The official souvenirs of Polish Presidency of the EU Council.